Gummi dinosaurs are here with eFrutti's Dinorex gummi dinosaurs! 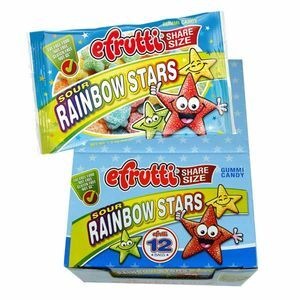 You get 12 bags of this gummy candy in bulk per box. 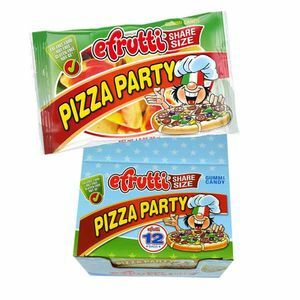 Inside each pack are delicious gummi dinosaurs that you'll love sharing with friends. 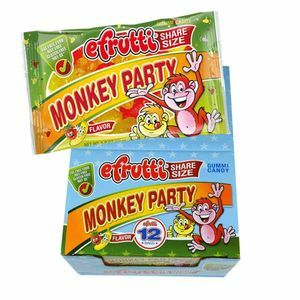 Buying in bulk allows you to have enough to use as concession stand snacks for all those outdoor sports games coming up in spring and summer. These dinosaur gummies will make great baseball candy at the park. 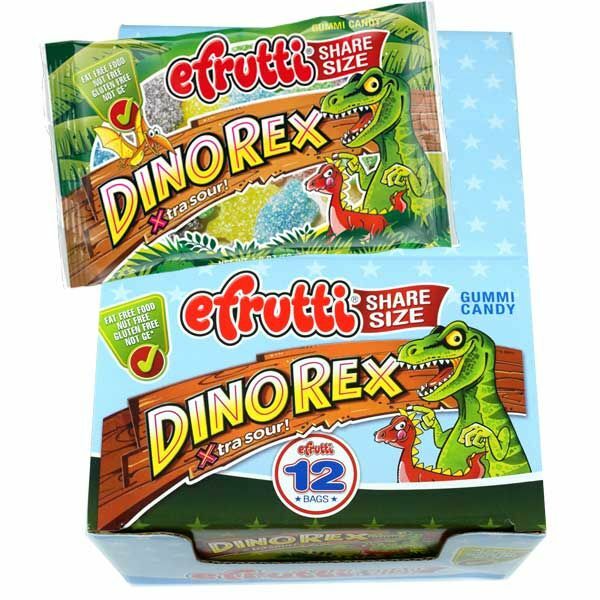 Pick up your fruity dinosaur gummies today from eFrutti!